One of the titles that women on a shooting range are endlessly given is Range Mom. I’m going to talk to you about a few different kinds of range moms, but the first one I’m going to cover is honestly the most important, because if the shooting community doesn’t have her, there’s little chance they will have her husband or her kids … and that can impact how many 2nd Amendment–friendly households exist in for future generations. For the last several weeks since I returned from the IPSC Rifle World Shoot in Moscow, my days have been filled with running junior camps, and a LOT of time with my boys. We’ve been driving together, teaching together, eating together, sharing a hotel room, and, this last week especially, I was hit with how much moms—and not just moms, but all parents—do for their kids. And it was Pam that made me stop and think about it. 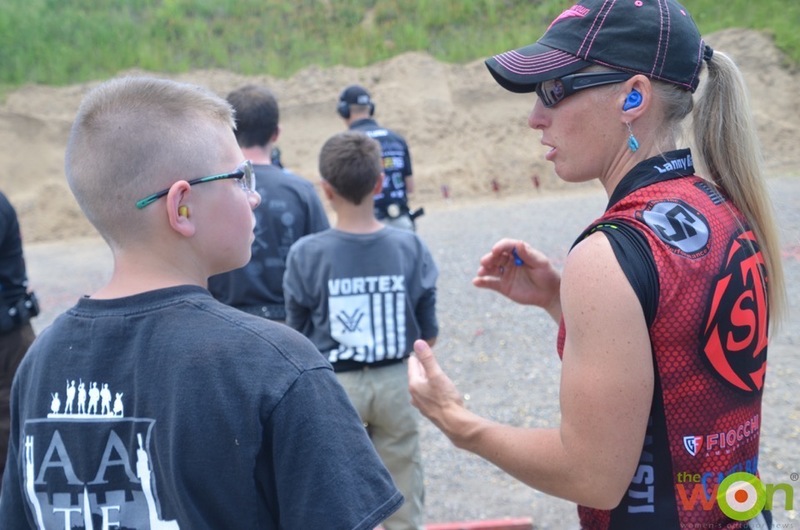 This story is about Pam, and why she’s a great shooting mom. People on the range joke about “squad moms”—the one who puts all the score sheets in order and keeps tabs on the whose turn it is, drives out for lunch or helps when things are running behind. But there’s another type of range mom: the ones that didn’t know they could be there, that never thought shooting might be as relaxing as it is, or an appropriate place to read a book or even nap like they might at any other of their kids’ sporting events. 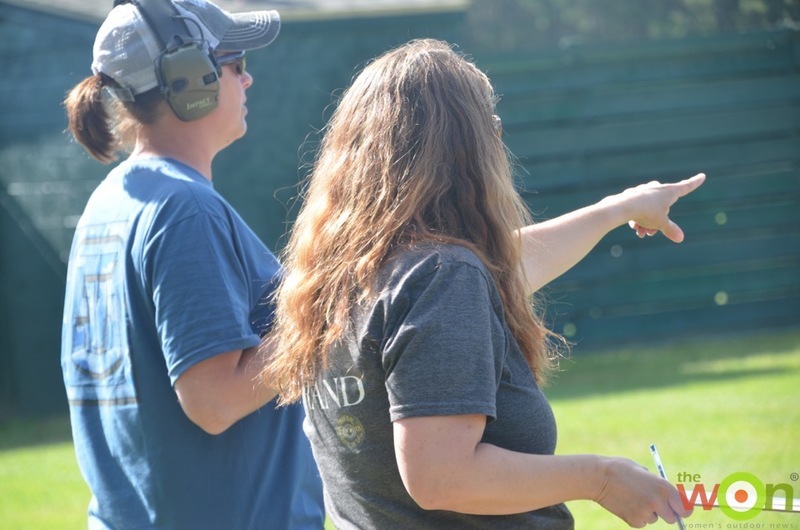 The moms who support their children with their presence, and then realize that there might be things about shooting or the range that they enjoy themselves. Pam’s son came to the second junior camp we ran this summer, and while each camp is relatively small (we had between 16 and 19 kids this year), they were also big enough to keep us instructors moving. By the second day, I was curious about Pam. Pam sat in the shade while her son was working with the instructor and his class, and her chair was at the back of the bay. Pam was napping. Not gonna lie: I was jealous of Pam. I have been busy, and a nap is something I sorely need. So my lesson from Pam came when I started telling her that I snapped a photo of her sleeping. She laughed, because she thought she’d fallen asleep in her chair, and that her mouth was open while she snoozed. (It was, but it was adorable.) But in sharing our laugh about napping, I learned Pam’s family is military too, and that her husband’s job right now had her staying up late so she could catch up with him. I’d lived in the same area of the country, and our common ties of military life led us to a good conversation. Pam told me her husband had checked out the camp online after their son heard about it from another shooter; he’d asked Pam to take their son because he wouldn’t be able to because of his work schedule. Pam laughed, telling me that she’d told him, “You want him to do what?” and something to the effect that this wasn’t really her wheelhouse, but sure, she would take him. And that’s thing that makes Pam “The Sleeper” of a range mom. It isn’t that she napped—it’s that she didn’t know what the range would hold, but she was game to try. She might not have known the range could be fun, relaxing, and a place where busy moms could kick back. (Maybe that’s part of why guys like shooting so much.). Pam’s son is a teenager, so her range-momming was more about getting him there, taking some videos and photos, and relaying to her husband what they did each day. But her smile at her son’s efforts, and the fact that she seemed to be relaxing and genuinely enjoying the other families was great to see. She made new friends at the same time her son did—women with very similar families, enjoying common interests. This is why being friendly and welcoming to new families and women on the range is so important. If women know they can show up to shooting matches the same way they can show up to their children’s soccer games, minivans the country over might just get packed with sporting gear that’s a whole lot more fun to play with. 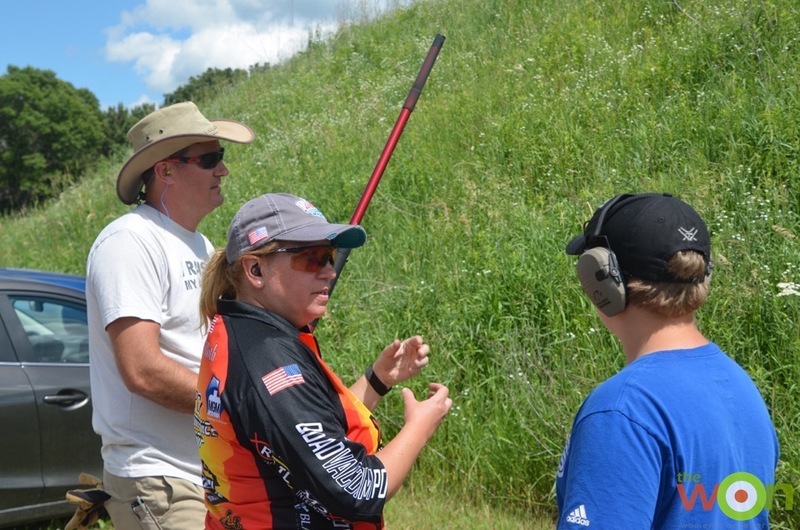 And more important, if women know they can show up on the range and just be themselves—that they don’t have to be a different type of range mom, the more involved type—then we just might see more moms show up and let their teenage boys shoot while they enjoy a nap in the shade. Be a small giant – but change the course of history! “The way it is” in our country and the world at large is that too many girls have never made it to the range with their dads, too many moms have never felt welcome or interested when guns are in the room, and too many families cannot then take part in pastimes that generations of Americans have embraced. And while bigger entities will tell you to donate your money to help protect your 2nd Amendment rights, perhaps the biggest thing you can do is help more women be like Pam—that sweet and loving mom who’s open to adventure. What if every household that had a gun also had a mother who taught her children about them? How giant would the power of those mothers be? That’s how you change your country, and change the way people think…one sleeper at a time.